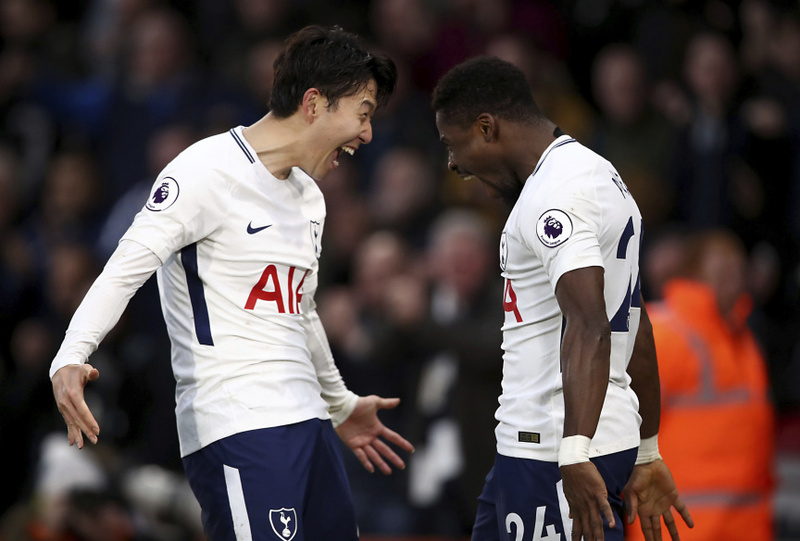 BOURNEMOUTH, England (AP) — Tottenham overcame an injury scare for Harry Kane to keep its Premier League top-four hopes on track with a 4-1 victory at Bournemouth on Sunday. Kane left the field with just over half an hour played at the Vitality Stadium after sustaining an ankle problem while scoring an offside goal. Bournemouth had already gone ahead through Junior Stanislas, but Dele Alli leveled before Son Heung-min struck twice and Serge Aurier added a fourth. Tottenham moved into third, a point above Liverpool, and five points clear of fifth-place Chelsea with eight games remaining in the race for Champions League qualification. 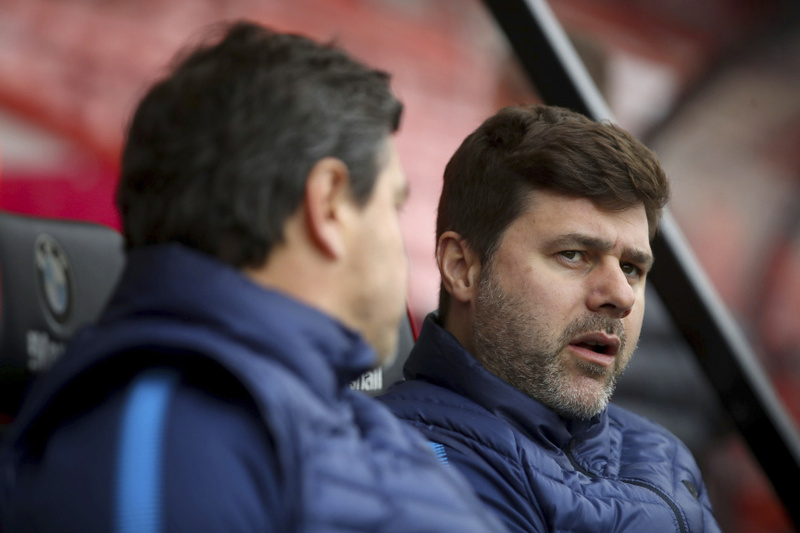 "It was a perfect answer after a massive disappointment against Juventus," Tottenham manager Mauricio Pochettino said. "It's true that we concede the first goal but I think the team was better than Bournemouth and the attitude was great." Spurs appeared to be suffering a hangover from its midweek Champions League exit — after losing to Juventus — when Stanislas netted after just seven minutes. He chested down Adam Smith's cross at the back post before arrowing his finish into the bottom corner. The situation worsened for Spurs when Kane was forced off in the 34th after colliding with Bournemouth goalkeeper Asmir Begovic. However, having breezed through the opening half-hour, Spurs appeared to be galvanized by the loss of its talisman and struck almost immediately when Alli volleyed in at the far post. Tottenham was rewarded for its patience when Alli picked out Son at the back post to finish a fine team move in the 62nd. Spurs controlled the game from that point and finally put it away in the closing stages as Son raced clear before rounding Begovic and finding the empty net for his seventh goal in his last four games. Gloss was added to the scoreline in stoppage time when Aurier took advantage of Begovic flapping at Kieran Trippier's cross to nod in a fourth. Bournemouth remains six points clear of the relegation zone with 33 points.